Led by Susan Stenson. Book your spot today! 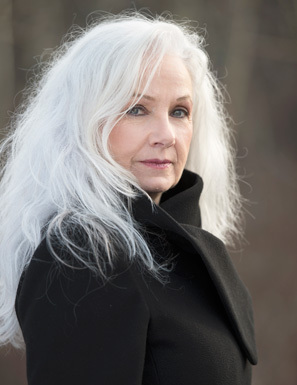 Sheri-D Wilson is the award-winning author of eleven books, the creator of four short films, and has released three albums which combine music and poetry. She is known for her electric performance-style, making her a favorite of festivals around the world. She has read, performed and taught in festivals across Canada, USA, UK, France, Spain, Belgium, Mexico, and South Africa. Her latest collection is The Book of Sensations (2017). Her tenth collection of poetry, Open Letter: Woman against Violence against Women was short-listed for the Robert Kroetsch Poetry Book Award and CanLit. Her collection, Re:Zoom (2005), won the Stephan G. Stephansson Award for Poetry. She was editor of the celebrated, The Spoken Word Workbook: inspiration from poets who teach. The Duende of Tetherball, Bowling’s twelfth collection of poems, employs his widely acclaimed sonic lushness and dark authority to fearlessly ransack the scrutinizing role of the pat on the present; the interactions of ourselves and other species; and the challenges and pleasure of getting older while forever striving to balance our most cherished and often incomprehensible relationships both with the world and with each other. Tim Bowling is the author of thirteen poetry collections, five novels, and two works of non fiction. 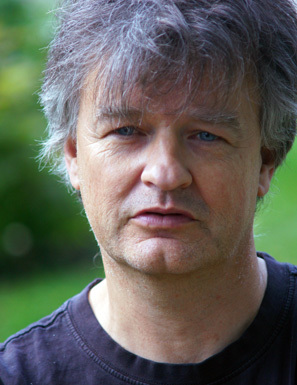 Twice nominated for the Governor General’s Award and the Writers’ Trust of Canada Award, his work in all genres has received two Canadian Authors’ Association Awards, five Alberta Book Awards, and a Guggenheim Fellowship. Adèle Barclay is a writer and critic. She is the recipient of the 2016 Lit Pop Poetry Award, The Walrus’ 2016 Readers’ Choice Award, and her debut collection If I Were in a Cage I’d Reach Out for You (Nightwood) won the 2017 Dorothy Livesay Poetry Prize. She teaches at UBC. If I Were in a Cage I’d Reach Out for You travels through both time and place, dwelling in surreal pockets of the warped landscapes of modern cities and flooding the murky basin of the intimate. These are love letters to the uncomfortable, the unfathomable, and the altered geographies that define our own misshapen understandings of the world. Rob Taylor is the author of the poetry collections "Oh Not So Great": Poems from the Depression Project (Leaf Press, 2017), The News (Gaspereau Press, 2016) and The Other Side of Ourselves (Cormorant Books, 2011). The News was a finalist for the 2017 Dorothy Livesay Poetry Prize, and The Other Side of Ourselves won the 2010 Alfred G. Bailey Prize. In 2015 Rob received the City of Vancouver's Mayor's Arts Award for the Literary Arts, as an emerging artist. He lives in Vancouver with his wife and son, where he coordinates the Dead Poets Reading Series. on the Sunshine Coast of BC. Frank Wilson was a university professor in the UK until emigrating to Canada with his wife in 2008. With two daughters and four grand-children in Victoria he writes, golfs, gardens and sings with the Arbutus Singers. After leaving the academy he is able to write what he wants rather than what was expected. He had his first collection of poetry and two books of short stories published in the UK (peakpublish). Chasing Crows was published in Victoria in 2013 and reprinted in 2015. Apple Man was published in October 2016. Proceeds from sales of all Frank's output are donated to Multiple Sclerosis Societies in Canada and the UK. So far he has been able to contribute over $10,000. D.S. Stymeist’s The Bone Weir (Frontenac House 2016) was shortlisted for the Canadian Author’s Association award for Poetry. He grew up as a non-indigenous member of a mixed family on O-Pipon-Na-Piwin Cree Nation, runs the micro-press, Textualis, teaches at Carleton University, and is the current vice-president of VERSe Ottawa, which runs VerseFest, Ottawa’s annual poetry festival. Exploring the intersection of language, culture, and history, D.S. 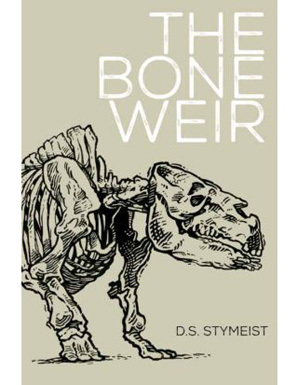 Stymeist’s The Bone Weir gives voice to the dead, the obscured, and the forgotten. In its consideration of human evolution, ice-age extinction, colonial history, and indigenous legend, this eclectic collection invites readers to reflect on our often troubled relationship with the natural environment and the past. Philip Resnick has combined two major interests in his life. As an academic, he had a long career in the Political Science department at UBC, publishing extensively on such topics as Canadian and Quebec politics, comparative nationalism, and democratic theory. As a poet, he began writing in his teenage years in Montreal, and has continued to do so ever since, both in Vancouver, and most extensively in Greece, where through his marriage, he spent many summers over the years. Footsteps of the Past was published in 2015, and he has a new collection entitled Passageways forthcoming in 2018.